The Ultimate Guide to Buying the Best RV Mattress - Water. Sky. Land. 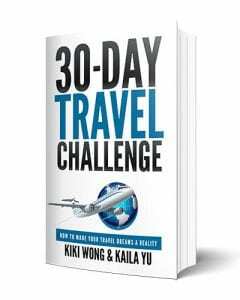 When traveling in a trailer comes to mind, most would think of unforgettable outdoor adventures on the road, freedom, and boundless experience. However, half of your time on the road will be spent sleeping. Without the best RV mattress, your good times may be stunted from back pain, lack of sleep, and overall grumpiness. The search for the perfect mattress can be quite overwhelming. There are so many shapes, sizes, and configurations to consider that must be customized so you can get the best sleep possible on the road. Well, it's your lucky day! We did the research and testing for you and found the best RV mattresses on the market that will fit your RV traveling needs. If you're thinking, "Well, why don't I just save a few extra bucks and use the mattress from my room?" The simple answer is no. Although you may sort of pull it off, the quality and experience of a home mattress in an RV is really not worth it in the long run. First off, home mattresses come in pretty standards sizes. Twin, Twin XL, Full, Queen, King, California King, etc. are some of the mattress sizes you've heard before. 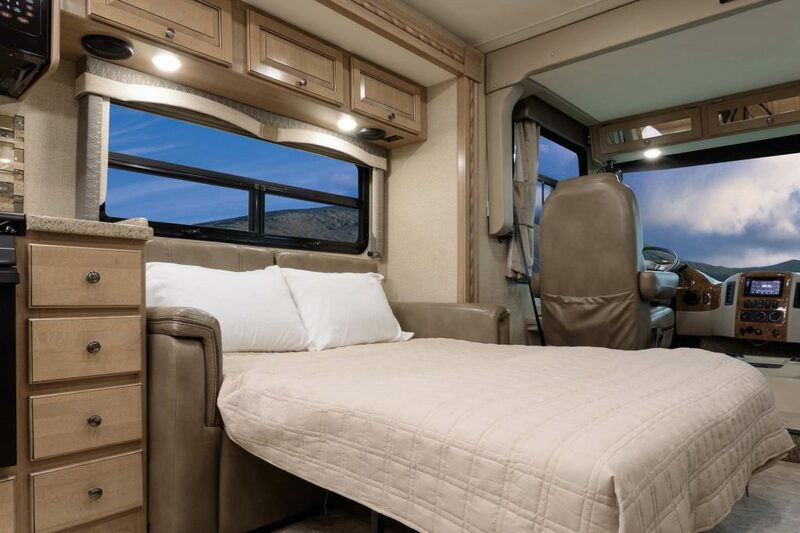 However, many RV mattress manufacturers make mattresses with special sizing and some even have corners cut out of them to fit the bedroom space. Also, some RV's require a custom RV mattress. Read more about them here. Also, make sure you measure you mattress correctly so you can purchase the right size. Read here for more info. Second, the actual material that is used in RV mattresses are generally foam based. This is because foam can withstand extreme temperatures when exposed outdoors. A regular mattress is designed to be in relatively temperate environments and would be more prone to damage in an RV. Lastly, the foam mattresses in RV's are much lighter than standard home mattresses. This will save you money and wear and tear on your vehicle in the long run. As most of you RVers know, every ounce counts! Now that you're ready to buy an RV mattress, there are a few extra things you'll need to prepare before making the big decision. First, you're going to need an RV mattress protector to keep your mattress in good condition. These mattress protectors are essential for keeping your mattress free of stains, bed bugs, dust mites, and other bacteria and allergens that can be harmful to your respiratory tract. The RV mattress protector is a thin cover that fits snuggly over the entire visible surface of your mattress. If you want the best sleep on your RV mattress, you're going to need to invest in the best RV mattress topper. These mattress toppers can make a cheap RV mattress feel like you're sleeping on clouds. And lastly, if you're going to be traveling in colder weather, a heated RV mattress topper will be essential for keeping warm in the coldest weather. Even though you may think if you pile enough blankets it'll do, think again. These bad boys are extremely economical and keep you sleeping comfortably throughout the night. One of the best ways to improve sleep on an RV without having to replace the entire mattress is getting a comfortable mattress topper. The right mattress topper can make you feel like you're sleeping on a million dollar mattress. One trending mattress topper material is memory foam. With memory foam, the material actually molds the the natural contours of your body, alleviating stress points and keeping your posture straight. This 4 inch thickness is enormous and will dampen any extra vibrations from disturbing your sleep. Also, since the topper is porous, it keeps you cool even during the hottest of summers. Overall, this is one of the best additions you can get to improve your sleep. We highly recommend getting this memory foam mattress topper no matter how expensive your mattress is. If you're looking for some serious comfort on the road, you won't be disappointed with this incredible memory foam mattress topper. Not only does this topper turn any standard mattress into a bed suitable for kings, it's also extremely affordable. Also, if you have a custom mattress size, you can simply cut the memory foam topper to fit any oblong mattress. We love this mattress because it contours to the natural shape of your body, allowing you to sleep like a baby through the night pain free. The mattress itself isn't made from any cheap fillers, just pure visco elastic memory foam. You're certainly getting what you're paying for and more. In the end, we know you'll be happy adding this to your trailer set up. If you want great sleep for an affordable price, this is your best buy. For those of you who are full supporters and fans of comfort, you've come to the right place. This ultimately luxurious RV mattress is made from all-foam, making it lighter and longer lasting in extreme temperatures. Also, the foam material allows the mattress to breathe during hotter seasons. The foam itself is made from a 1.8 lbs high density foam and a plant-based foam. Also, there is a luxurious stretch knit that covers and protects the mattress. This is the ultimate mattress for RVing since it is so lightweight and will save precious gas mileage on long trips. We know you will absolutely love this ultra-comfortable mattress. With it's lightweight, all foam construction, breathable material, and extra comfort, you won't be able to go back to the old guys after this purchase.